A Serengeti cat is, a hybrid feline that bears resemblance to a wild serval cat in Africa. It was developed by crossing a Bengal and an Oriental Shorthair. Considering the Bengal’s ancestry (wild leopard cats and domestic cats), the Serengeti may have a wild cat lineage. It is categorised as a hybrid of domestic and wild cat. The Serengeti is a captivating feline with wild-cat finesse but is smaller than true wild cats. With long legs and large ears, this breed can easily be distinguished from the others. With its graceful long legs, this feline can jump 7 feet high in the air. The Serengeti was developed in the mid-1990s. Karen Sausman, a Californian breeder and conservation biologist, pioneered its breeding. 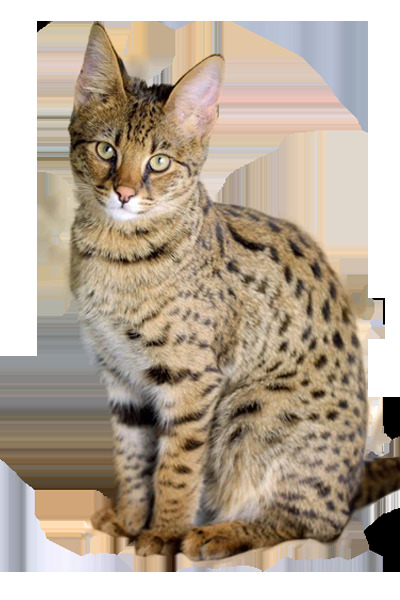 Sausman bred it in the hopes of having a cat that has the looks of an African Serval, but with a calmer nature. The goal was attained without the blood of a Serval but with the crossing of a Bengal and an Oriental Shorthair. Even though the breed is relatively new, it gained popularity due to its the predatory appearance but with the absence of aggression. 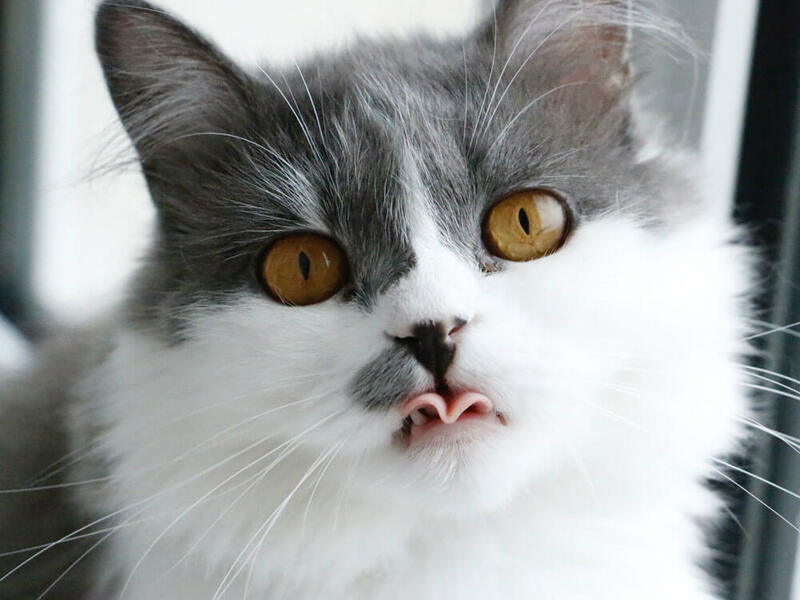 Having only been registered in TICA as a preliminary new breed, the breed is still on its way to being recognised by other cat registries including Britain’s GCCF. The Serengeti cannot enter in formal breed shows as it is still not considered as a pedigree cat. However, being registered in TICA could lead to a wider recognition in the future. The Serengeti stands out with its long neck, large ears, and upright posture. A female Serengeti can weigh between 8-12 pounds and males usually weigh 10-15 pounds. It has a body type similar to the Oriental Shorthair but with larger bone structure and longer legs. It sports a solid chest and appears muscular in general. Its medium-sized tail is thick that and tapers slightly from the body to its tip. Amongst its distinguishing feature is its ear which is strikingly large. Its ears set upright on the cat’s head giving it a heightened alert look. Its head is longer than it is wide with a moderately full muzzle and rounded whiskers. Its rounded eyes that are set fairly apart. The eye colour can be gold or yellow, however, hazel to light green eyes are preferred. Tabby – It can be any shade of brown but shows a high contrast between the ground colour and its spots. Solid – When it isIt can be solid black and at timesor there may be visible ghost spots. Silver/Smoke – The black spots are on its clear silvery body. The coat’s pattern can be randomly spotted or solid in colour. As for the spotted cats, there can be spots on shoulders and hips down to the legs and around the tails which are marked with black rings. Grooming is easy as it sheds lightly and only sheds the most during spring. A weekly brushing and wiping with chamois leather would suffice. A basic grooming routine, such as regular nail trimming, teeth brushing, and ear cleaning, should be followed. The Serengeti cat likes to be active but it can be shy in a new home. It is genuinely known as a cat-talker, a quality acquired from the Oriental Shorthair. It is most likely to follow its owner with a purr, mumble or clack. The Serengeti is quick to answer when being spoken to and loves to have a conversation with its owner. It is most expressive when it is nearly time for a meal. Further, it can be extremely energetic and one that enjoys being busy. Due to its long legs, the Serengeti is capable of jumping as high as 7 ft. in the air. It is an adept climber that enjoys scaling a tree or climbing on a curtain. Another quality of a Serengeti is that it likes to follow a routine and does not respond well when there are changes. It likes to follow a meal time schedule. At times, changes at home, such as moving furniture, can trigger cat stress. The Serengeti is amongst the intelligent cat breeds. It learns new things quickly and loves to play interactive games with its owner. It is also a good hunter and an inquisitive one. Ensure that the area is cat-proof to prevent it from roaming outdoors unattended. It is a fearless breed that would most likely follow or attack unfamiliar animals in the street. A Serengeti cat provided with lots of attention can adapt well as an indoor pet. The Serengeti cat should be provided with a nutritious diet that fulfils its nutritional needs. It should strictly follow its feeding schedule. If there are changes to its diet, those must be done gradually to prevent digestive problems. On average, the Serengeti’s life expectancy ranges from 8-12 years. This cat breed is among the healthiest and is not known to be affected by hereditary health issues. However, there have been cases of Serengetis affected by bladder stones. As such, it is necessary to check the Serengeti cat breeder’s credentials before acquiring one. A pedigreed Serengeti kitten will cost upwards of £250. Average insurance expenses would cost £16 (basic) to £27 (lifetime) monthly. Food costs may range from £15-£20 each month. For vaccinations, boosters, annual checks and other veterinary costs, pet care costs may add up to more than £600 each year. On average, a Serengeti cat owner will spend about £40-£60 per month. The insurance costs can also affect this estimate. For its entire lifetime (8-12 years), the expenses can be as low as £3,900 to as high as £8,650 overall. This estimate does not include the initial costs incurred in acquiring this cat. Is a Serengeti Right for You? A Serengeti is a beautiful domestic cat with predatory appearance. This feline forms a bonds with their families. It can be kept as an indoor pet but should be left with at least one company when everyone is out. It is an adept climber, so it is most likely to be perched up high. The Serengeti strictly likes to follow routines and has the tendency to be stressed out when there are changes.